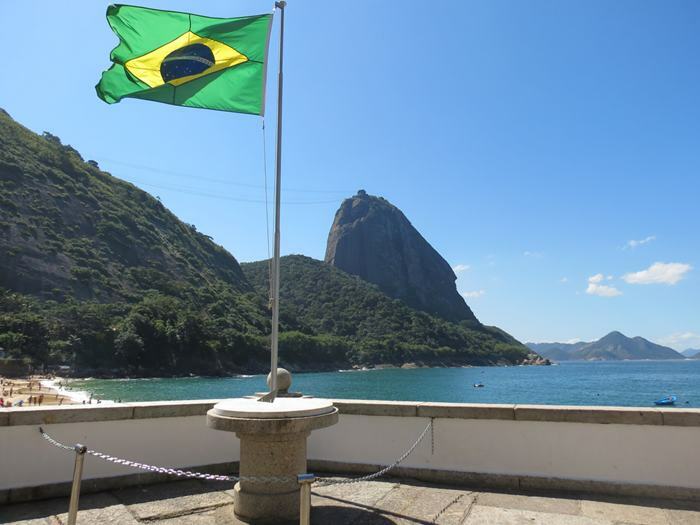 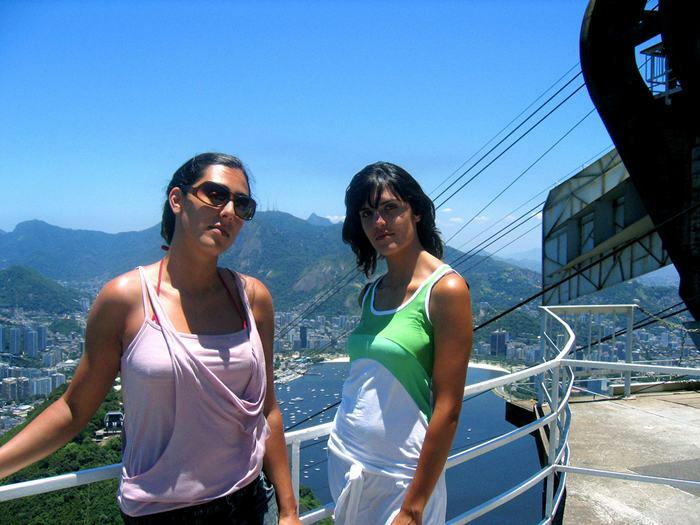 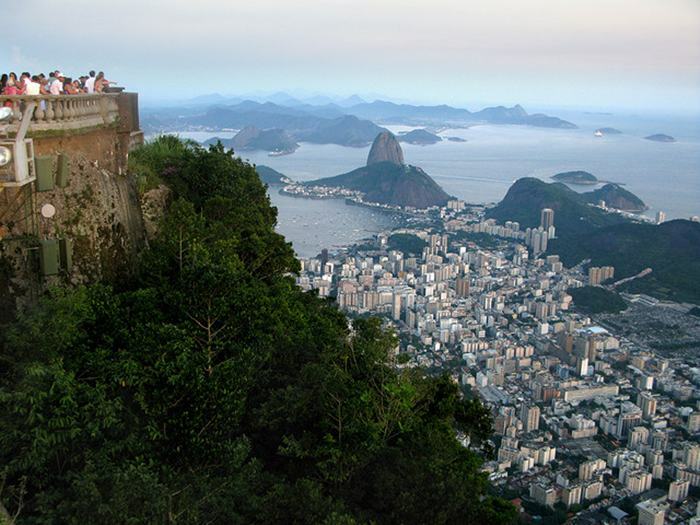 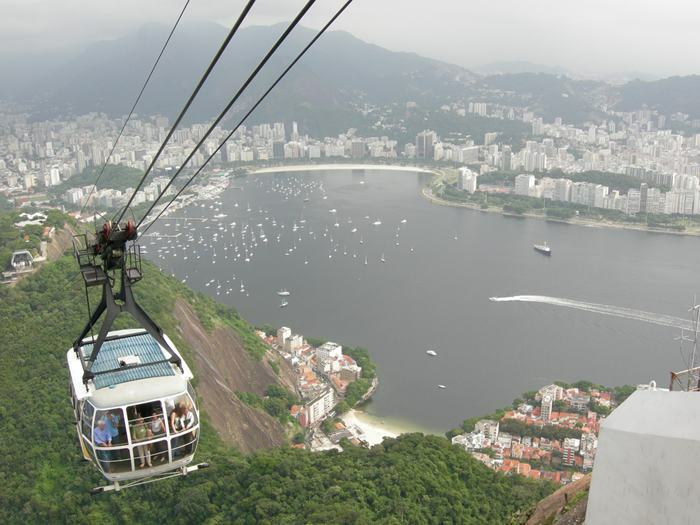 Sugarloaf Mountain (in Portuguese, Pão de Açúcar), is a peak situated in Rio de Janeiro, Brazil, at the mouth of Guanabara Bay on a peninsula that sticks out into the Atlantic Ocean. 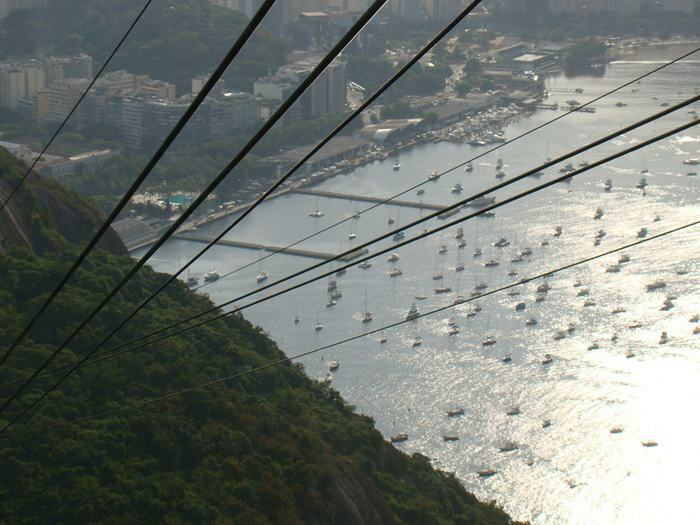 Rising 396 metres (1,299 ft) above the harbor, its name is said to refer to its resemblance to the traditional shape of concentrated refined loaf sugar. 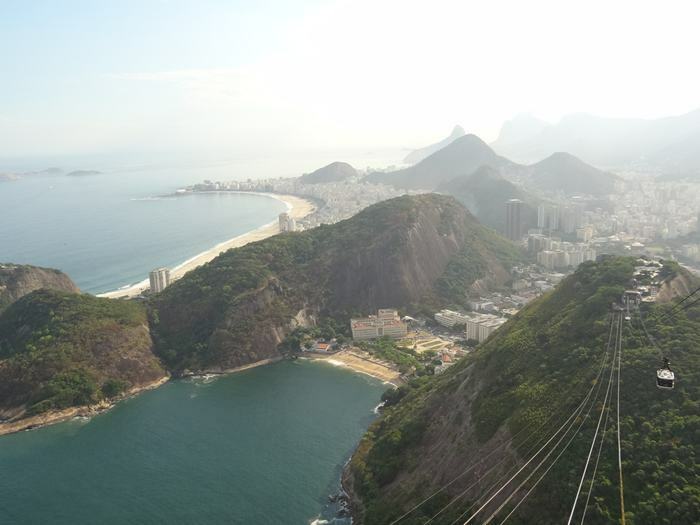 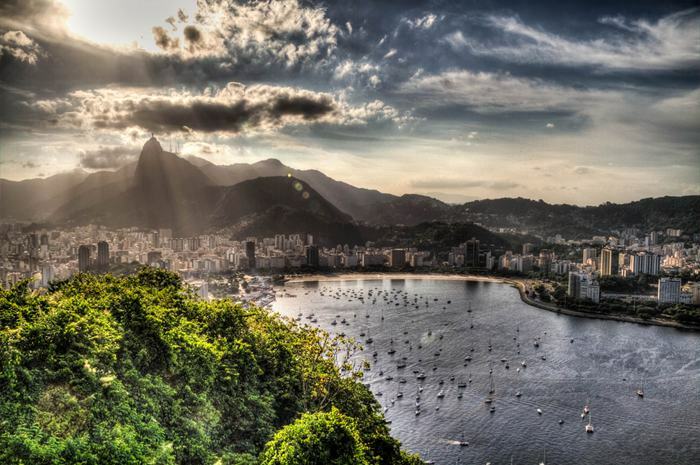 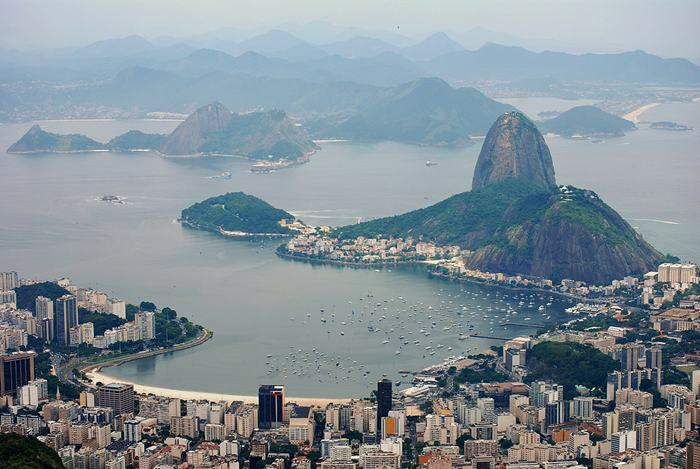 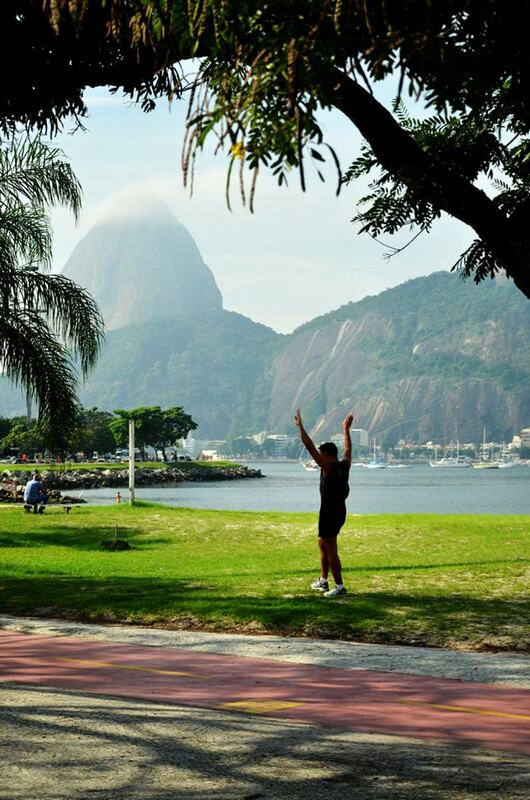 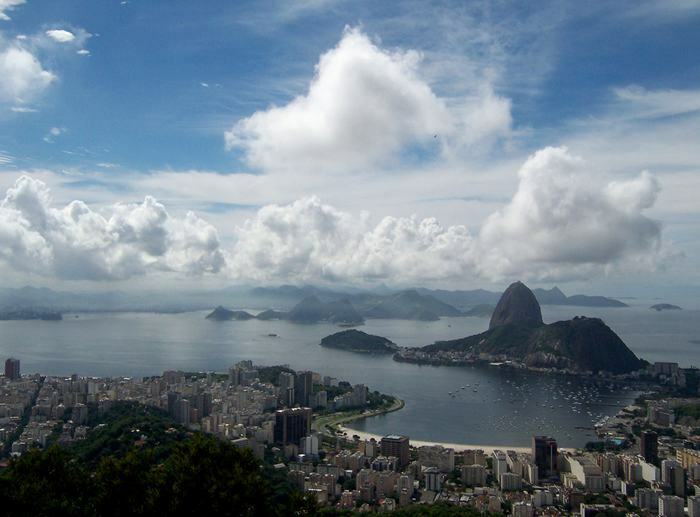 The mountain is only one of several monolithic morros (hills) of granite and quartz that rise straight from the water's edge around Rio de Janeiro. 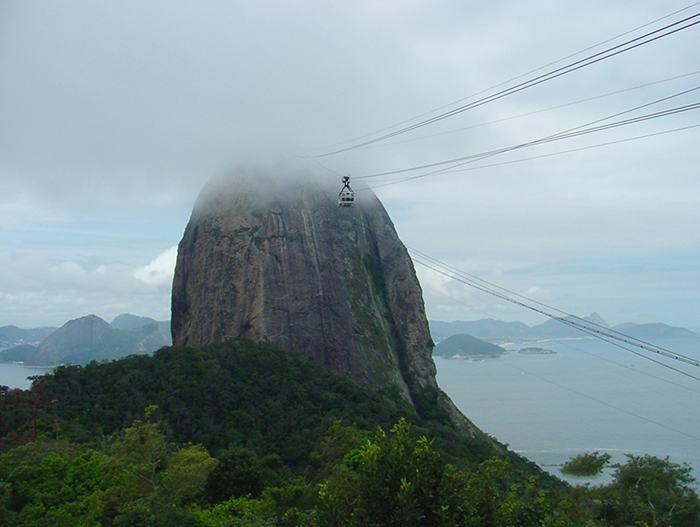 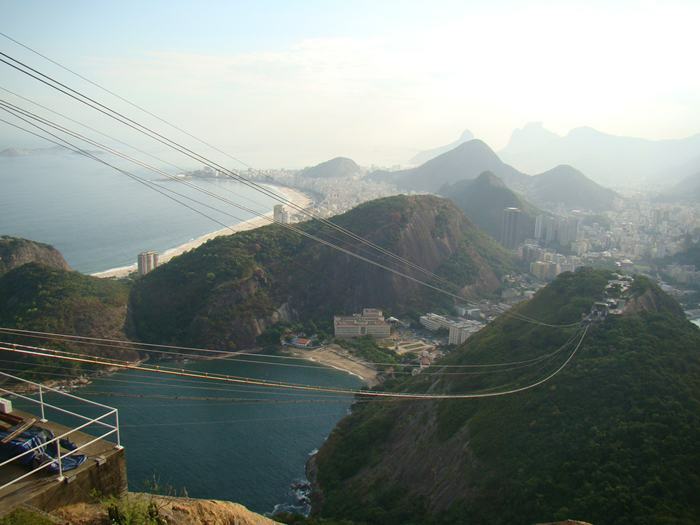 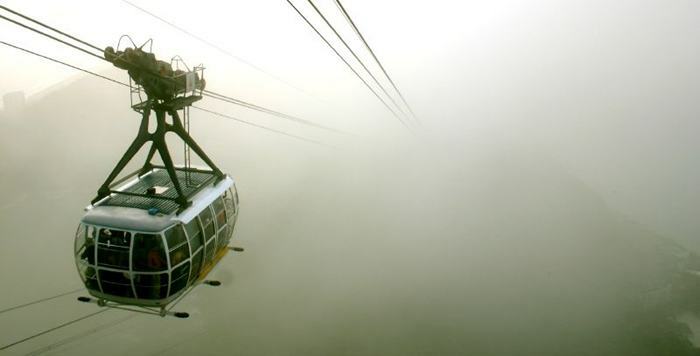 A glass-walled cable car (in popular Portuguese, bondinho - more properly called teleférico), capable of holding 65 passengers, runs along a 1400-metre route between the peaks of Pão de Açúcar and Morro da Urca every 20 minutes. 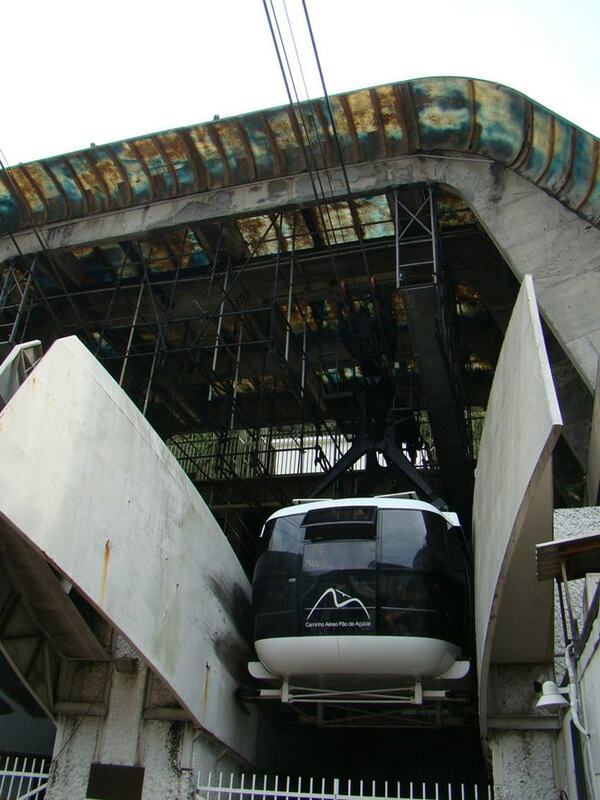 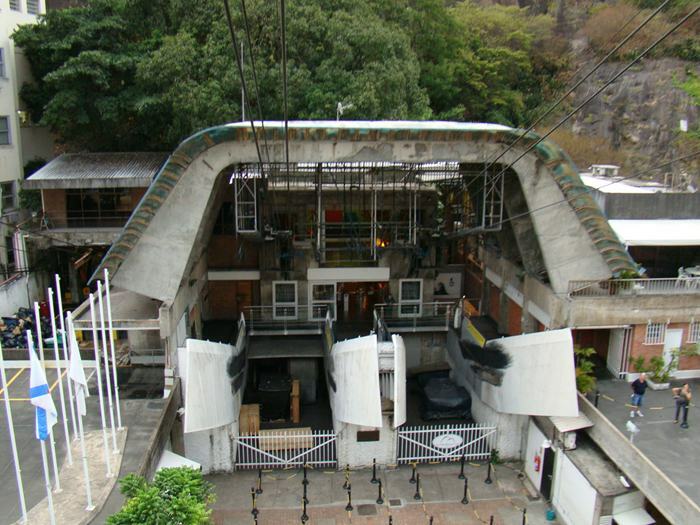 The original cable car line was built in 1912 and rebuilt around 1972/1973 and in 2008. 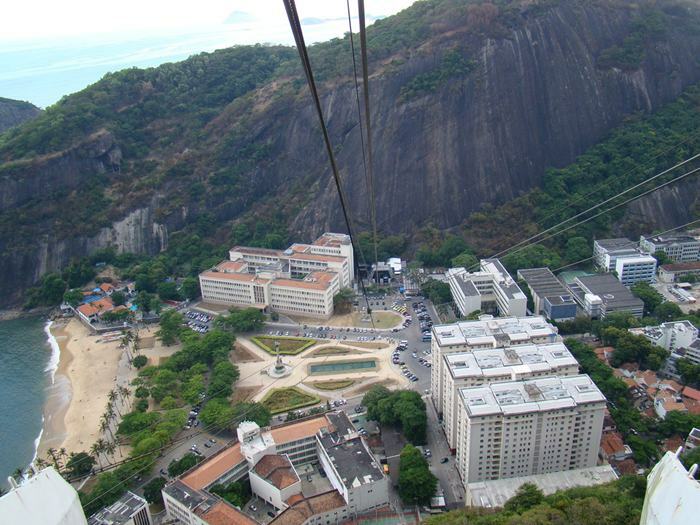 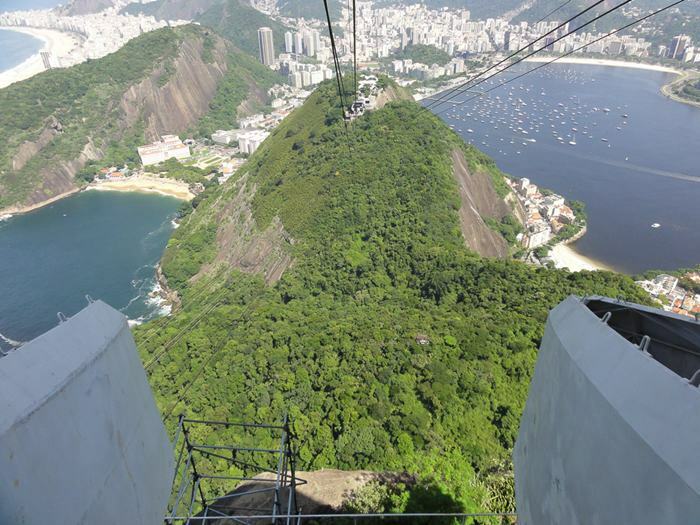 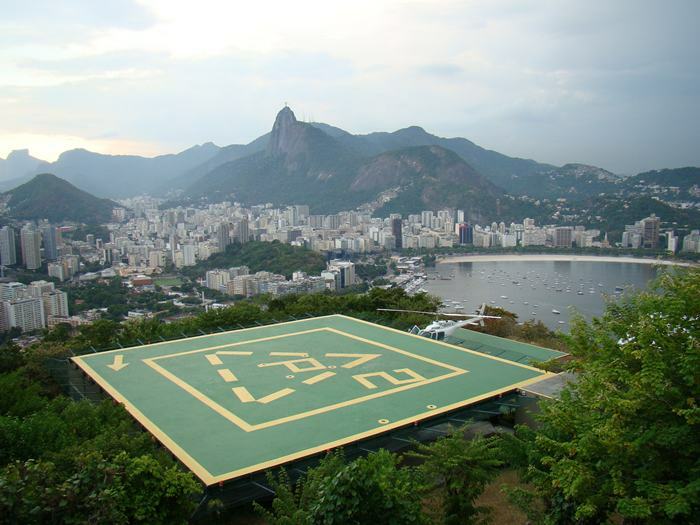 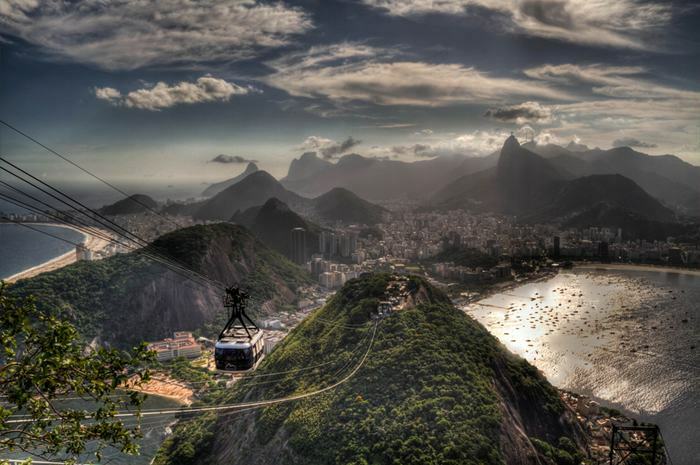 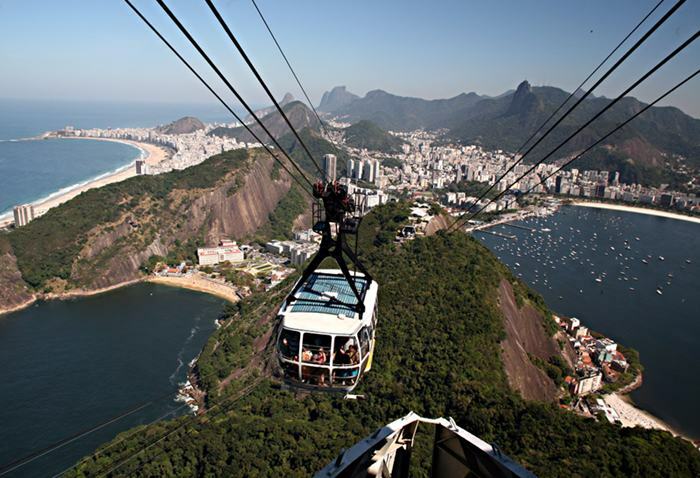 The cable car leaves a ground station located at the base of the Babilônia hill, to the Urca hill and then to the Pão de Açúcar.